By andre154, April 7, 2015 in Going Up! 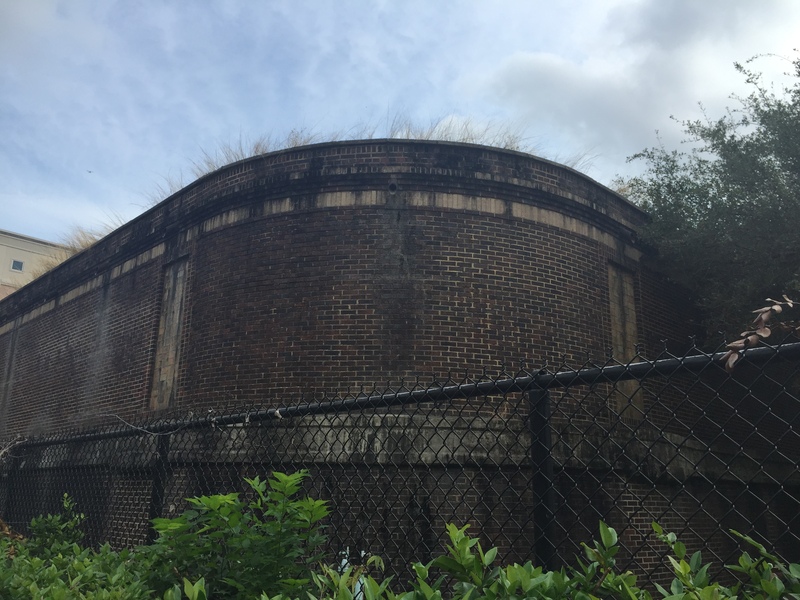 City Council is set to vote this week to declare the Houston Heights Waterworks Reservoir site as surplus property, and to have it appraised. I would love for this to be a park or shared greenspace. But that won't happen. Tract 1 should be street-facing retail. (Or Chase should move onto Tract 1 so their current site can be developed into mixed use w/ GFR.) It would help bridge the no-mans-land on 19th between Ashland and what is set to become a very lively cluster of restaurants at Shepherd. This has apparently been sold, pending City Council approval, to an as-yet-unnamed buyer. Not clear from the article if the sale includes the second tract between 20th and 21st streets. I heard that it's going to be a giant Bucee's once Prop One passes. Whatever goes in there, part of the green space is almost certain to become a parking lot. Alliance Residential is set to acquire the sites. A public meeting will be held on November 29th to discuss their plans. Multi-family complex with possible retail. Very interesting that they plan to save the historic structures. Don't think they have a choice. 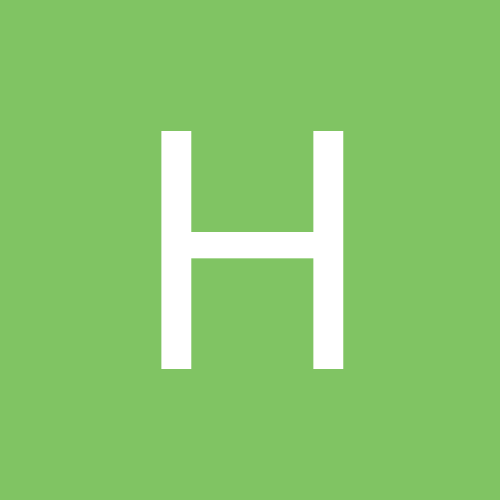 Does anyone know the price they're paying to acquire these sites? It seems as if it would be information available to the public. AFAIK, City Council will have to approve the sale, at which point the amount will be public, if it's not already. Apparently there were 19 bidders and Alliance submitted the highest bid. i love that dark brick building too!!! love that 4th shot and i cannot wait to do a photoshoot in front of it!!! thanks for posting! Wondering how Alliance Residential will balance the landmark status with building a mega-complex. Anyone know what the historical status actually protects/does not protect? I believe it requires notifications and waiting periods before you tear down a city recognized building. The water works is a protected landmark, which means they can't be demolished without a Certificate of Appropriateness from the HAHC, which is unlikely to be forthcoming. Anything Alliance plans for that site will have to either incorporate or build around the three existing buildings. AFAIK, this only applies to the exterior of the buildings. Alliance can pretty much do what they want with the interiors without needing a CoA. I don't know about the other two buildings, but my first thought of the best way to save the water tank is to take the top off and make it the pool. "The 'protected' designation means that the structure cannot be demolished or altered without the approval of the Commission," Hartgrove says. "The landmarks can proceed with an inappropriate alteration or demolition after the Commission denies their application for that activity once 90 days is up." Is this Houston Chronicle article incorrect on this? The wording in the article is confusing. They're contrasting Protected Landmark status with just Landmark status. Landmarks may be altered or demoed after a 90-day waiting period; Protected Landmarks may not. The Alabama Theater (mentioned in the article) only had Landmark status. The water works has Protected Landmark status. Anyone can apply for a building to be designated a Landmark, but only the property owner can apply for Protected Landmark status, which CoH did as then-owner of the water works site. The city website indicates that the waterworks has just landmark status. The City could sell the property with deed restrictions that limit what can be done with the existing buildings. I care more about those massive trees on the southeast corner of Tract 2 than those buildings. Same here! I'd love to see tract 2 turned in to a park (although, I know that won't happen). 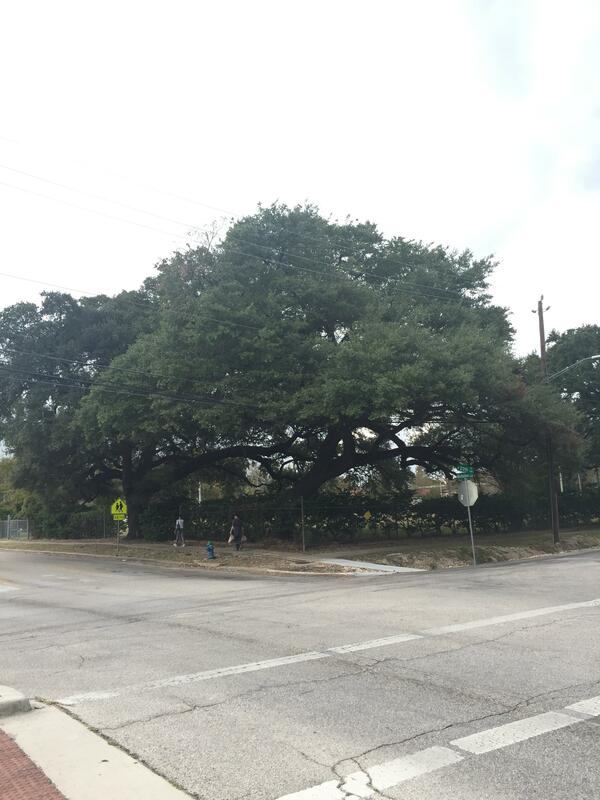 The Heights could use some more parks. The website is incorrect. Well, partially correct. It has both Landmark and Protected Landmark status. Public meeting on the development tonight. Each of the existing buildings (4000 sf reservoir, 1700 sf and 4000 sf pumping buidlings) will be restaurant spaces, with additional patio space, as well as space for food trucks. Up to 5000 s.f. will be community garden. They want to commission a sculpture made from the salvaged, excavated pipework. All of this is preliminary, of course. Deal is not closed, and permits have not been issued. Some photos of the posters at the event are below. Could use some tree facing the street but maybe not if the street is to be widened down the line? Wow very promising. I hope this comes to fruition. There was a fair amount of hand-wringing and pearl-clutching at the meeting, as one might imagine. "It's already hard enough to cross 20th at the bike trail, now it will be impossible"
"Where will all the poop go?" "That sure seems like a lot of apartments. Couldn't you build fewer?" "If people park on Nicholson (like they do around the apartments on 23rd & Nicholson) it will be impassible." The irony of wanting ever more walkability but opposing every apartment development is apparently lost on the Heights. Also, the renderings kind of make these building stick out, but they're adjacent to a hospital and across from a medical building of similar height. The value of Alliance's bid won't become public until city council votes to approve the sale, but I'm guessing it's in the low 8-figures. I wonder what will happen when Chase realizes that their drive-thru lanes are sitting on $5M worth of dirt? 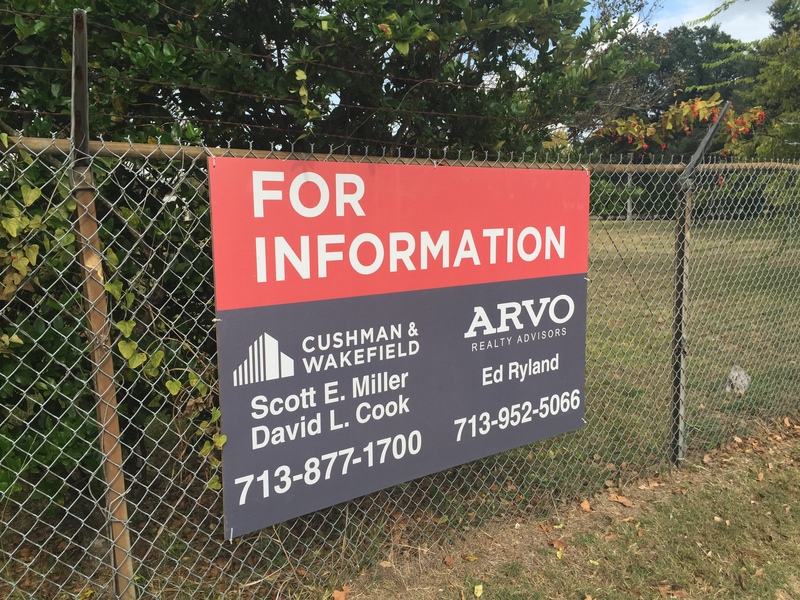 Cyrus Bahrami, who oversees development, investment and construction operations for the Houston office of Alliance, said he previously lived in the Heights and has been looking at the site for some time. 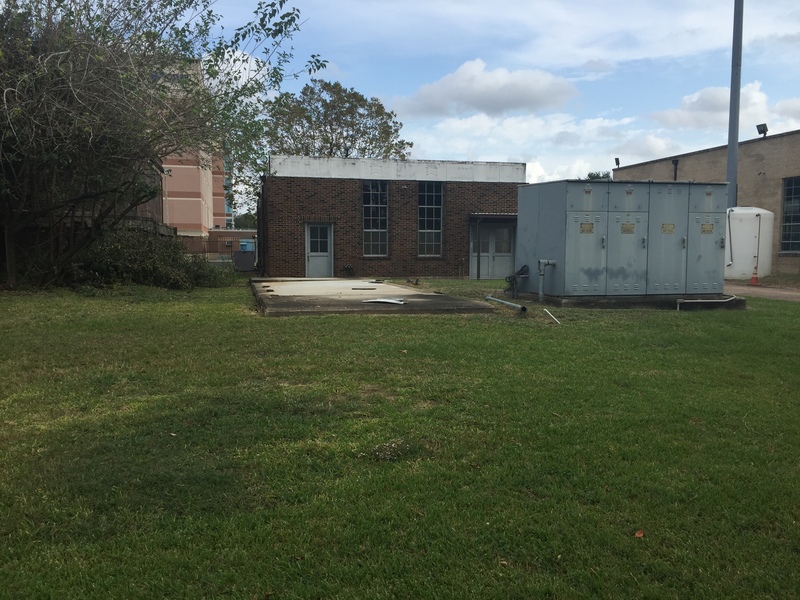 Council member Cohen stated that the property would most likely have been multi-residential property regardless, because that’s what the highest bidders were proposing. Bahrami said that the orientation for both would face the commercial areas with entrances facing 20th Street. He also said that in large part the parking for both structures would be underground, with an additional wraparound so that the public won’t see the parking. Exezidis has plans for two to three restaurants on the waterworks site. Because of the dry statute, they would follow the private club route. 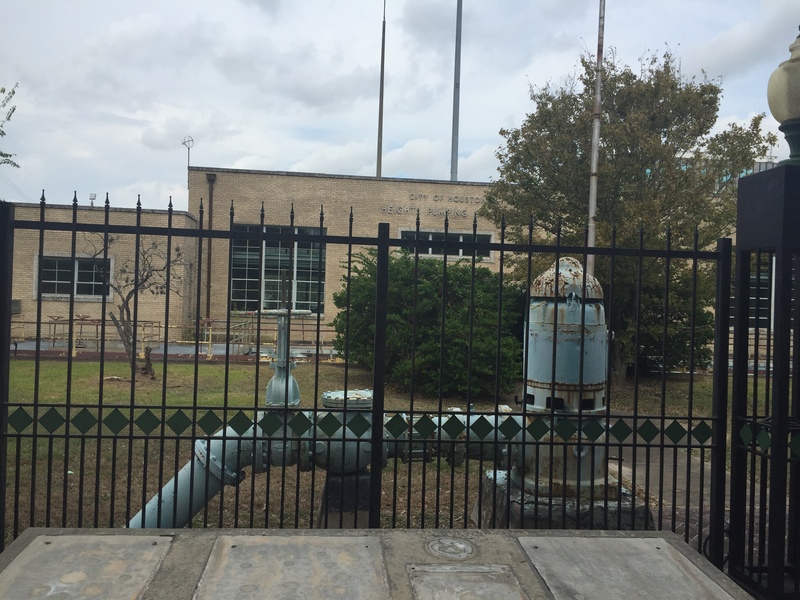 Since the decommissioned water plant is a City of Houston protected landmark, it cannot be demolished, and Exezidis he plans to keep the structures much the same as they are, particularly on the outside. He told the group of his work on La Grange in Montrose which used to be a horse hospital in the 1920s, and pledges to do something similar with the waterworks site with regard to repurposing elements and keeping as much as possible of the architectural features. “We let the building tell us what the concept is going to be,” he said. In addition to the restaurants Exezidis proposes a 5,000 square foot community garden, with a shed, and irrigation. The space could also host farmers markets and special events. Exezidis is also talking to artists about excavating the old water pipes in the ground and turning them into sculptures. Another meeting being held this evening. Saw an article from yesterday that summarized the meeting. Not much to add to the discussion. 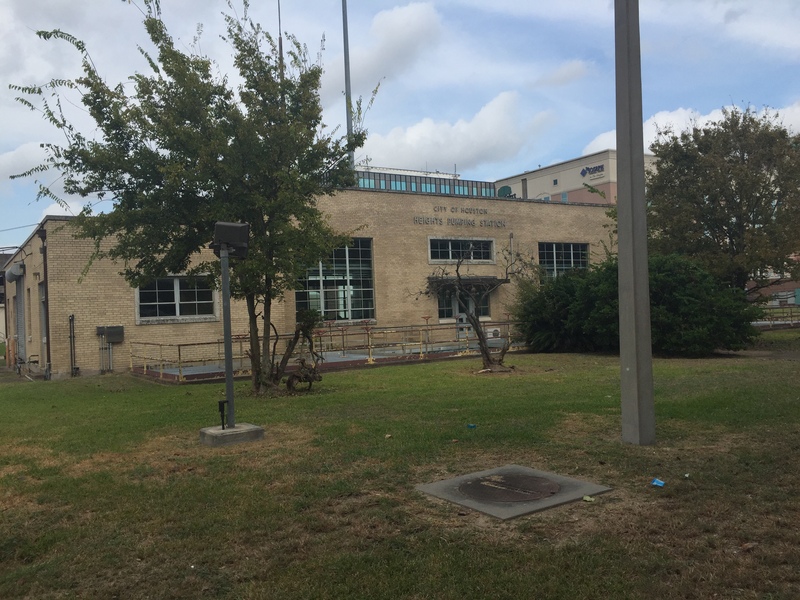 Houston City Council Tuesday approved the sale of the historic Heights waterworks to an apartment developer for $15.2 million. The purchase price is "way above the appraised fair market value," according to the council item that outlined the sale to Alliance Realty Partners, a Phoenix-based apartment developer planning to redevelop the site. The properties -- catty-corner lots along Nicholson at West 20th streets -- include one of the city's early water pumping structures. The building at 449 W. 19th St. is a protected landmark. The developer recently presented preliminary plans for the nearly 4-acre site to residents and business owners. 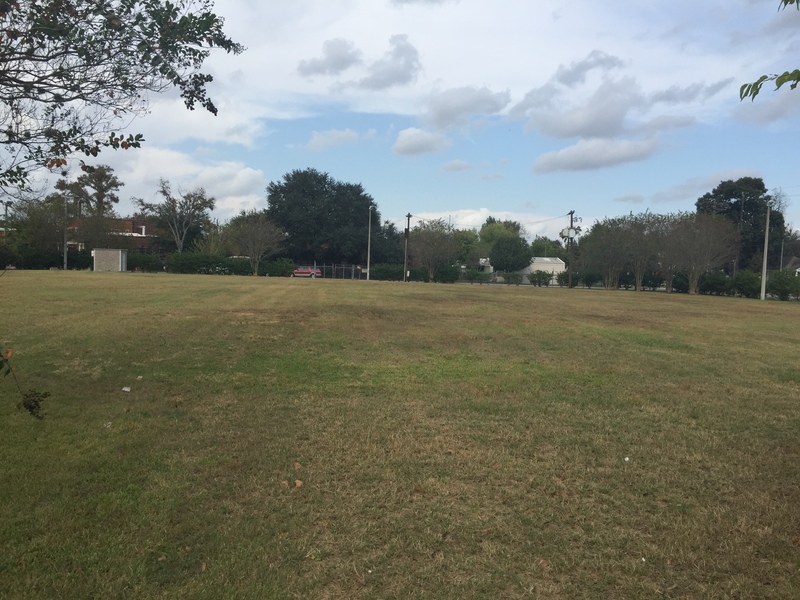 During that meeting, attended by councilwoman and Mayor Pro-Tem Ellen Cohen, residents expressed concern about increased parking on the nearby residential streets and flooding. The project is expected to include two midrise apartment buildings with garages and retail space. The city said Alliance submitted the highest cash offer out of 19 proposals the it received. Counting the square footage occupied by buildings they can't knock down, that's over $90/s.f., which is... high. Even so, given the size of the project, I'd guess the dirt is only about 1/4 of the total cost. Chase should approach whoever submitted the 2nd highest bid, and sell them the land their drive-through is on. There is a lot of work going on around the property. Men are digging up the ground between the road and the Nicholson facing property line, and there are people working on 19th street. 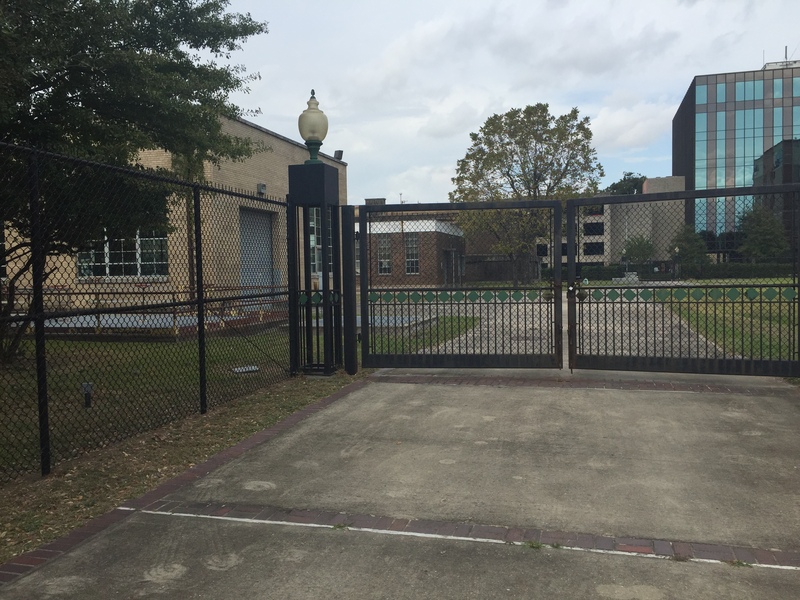 The gates to the water work plant open. A lot of energy expended but little else to report. The Chase Bank building has for sale signs up. So... There are for sale signs up for the areas currently occupied by the Chase drive-thru and associated 2-story building (essentially the entire block bounded by 19th, Lawrence, 20th and Nicholson, except for the two properties at 527 and 527 w 19th) as well as the Chase parking lot on the south side of 19th. There is also a for-sale sign up for the former Water Works tract, though NOT for the empty tract at the NW corner of Nicholson and 20th. My guess is that, rather than develop the two catty-corner sites they acquired at auction from CoH, Alliance will develop JUST the empty site, and try to sell the site with the water works buildings to be co-developed with the Chase site. Just saw the for sale signs myself. This is all so exciting. Hopefully we can slowly connect downtown Heights to all the development along Shepherd. It strikes me that this thread may have to proliferate. 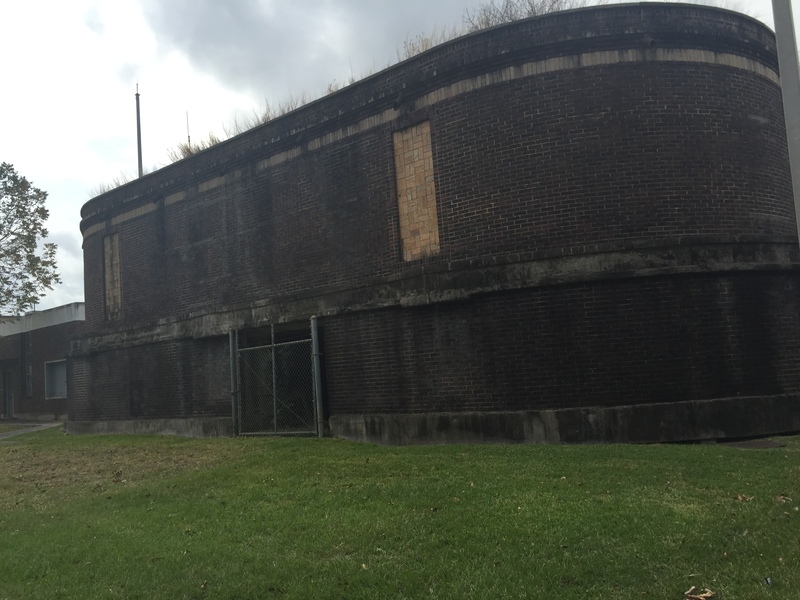 Braun Enterprises plans to redevelop the historic Heights waterworks, a city-owned property on 19th Street, into a collection of restaurants in the neighborhood near downtown. 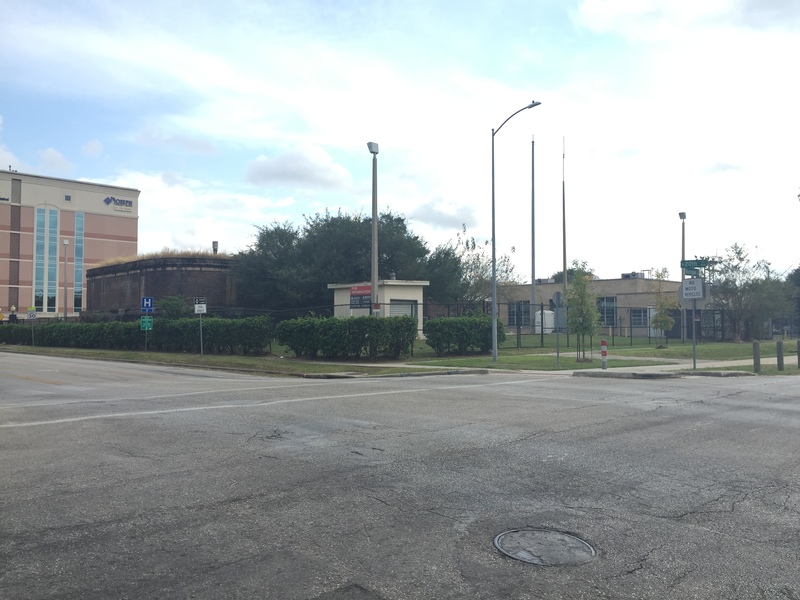 The Houston-based company is under contract to acquire the site from Alliance Residential in late September, according to Zach Wolf, director of leasing for Braun Enterprises. It will purchase the property, which sits on more than 1.5 acres at the northeast corner of 19th and Nicholson, from the Phoenix-based apartment developer. 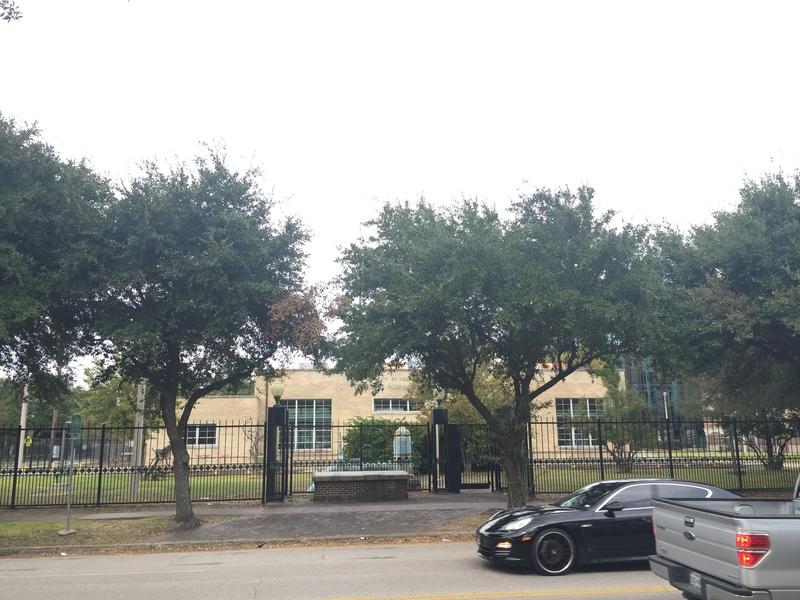 Alliance Residential is buying two catty-corner lots along Nicholson at West 20th streets from the city of Houston, and will in turn sell the lot with the waterworks buildings to Braun Enterprises. "This is our 25th project in the Heights area," Braun Enterprises president Dan Braun said in an email. "Our intent is to embrace the walkability and help continue to connect Yale to Shepherd along 19th Street," he said, adding that 19th "has always been the bull's-eye in the Heights for retail and by adding four freestanding restaurants, we hope to make this an area for the community to gather in the Heights." Art Deco pumping station from 1939; and a pump building constructed in 1949. A proposed building along 19th Street would add 5,000 square feet to the project, which is being designed by Jared Tipps of Tipps Architecture. A lawn area would be created in the center of the existing buildings, which total almost 12,000 square feet. One of the buildings could be expanded by nearly 1,300 square feet. "We are incorporating a considerable amount of greenery and outdoor space to make it very pedestrian friendly," Wolf said. "The Heights Hike and Bike Trail runs adjacent to the western side of our property and we expect to generate considerable pedestrian traffic off of the trail." Braun Enterprises' area developments have attracted tenants such as Harold's Restaurant, Bar & Terrace and Torchy's Tacos at nearby Harold's in the Heights, Mellow Mushroom at 1919 N. Shepherd and Bernie's Burger Bus at 2200 Yale. The site is directly across from another potential redevelopment site. Earlier this year, JPMorgan Chase Bank put its two-story bank building and land on the market. It is reserving a portion as the site for a new modern building. Just north of that, Alliance Residential plans to develop a Broadstone apartment midrise. Braun Enterprises would begin work as soon as the property purchase is finalized, with completion targeted in the second quarter, according to Wolf, who anticipates plenty of interest from both national and local restaurants. "Nineteenth Street has always been the main street. It's where everyone wants to be," Wolf said. "There just hasn't been any space available." Not sure if this has a thread already. This makes a lot of sense. Re-developing the waterworks site was never in Alliance's wheelhouse, and Braun has some credibility and history in re-purposing older structures like this. Probably means two multifamily projects, on the NW and SW corners of Nicholson and 20th; probably >500 units total. What I'd really like to see is a parking structure on the SE corner of the waterworks site, which could serve the Harold's development as well as this one. That would free up one or both of the two parcels of land on 18th dedicated to parking for that development. Renderings seem to show surface parking on the east half of the site, though. Wonder if Braun is getting close to a critical mass of properties along 19th/20th to start looking into a special parking area. More on the Heights Waterworks site between 19th and 20th Streets at Nicholson. Wolf said Braun intends to embrace the walkability and help continue to connect Yale to Shepherd along 19th St, as it has always been the bullseye in the Heights for retail. In Building C, Braun is in the final stages of negotiations with a coffee focused restaurant for which the space could be expanded to 3,200 square feet. However, the Reservoir Building (Building D) is the real gem of the project according to Wolf, and he said Braun is working in conjunction with several different groups about revitalizing the building into event space, food hall or wine bar and restaurant — complete with a beautiful oak tree in the back that can serve as a covered patio. In addition to the three historic buildings, Braun is developing an adjacent freestanding building on 19th street that will tie in with the site’s existing architecture, consisting of a 4,000 square-foot fast casual restaurant with a large patio opening up to the hustle and bustle of 19th street. There will also be an additional 1,000 SF of extra shop space on the west side for lease. Look at all that green space. 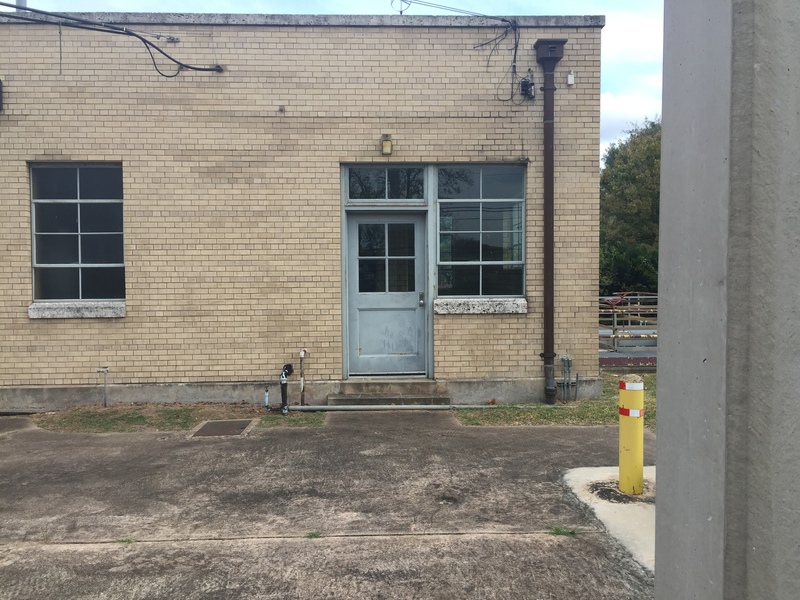 CultureMap has the latest on the coffee shop going in the Heights Waterworks redevelopment, it's Ascension from Dallas. Ascension filed a LLC last week under Ascension The Heights, LP. A popular Dallas coffee shop has set its sights on Houston. Ascension, an upscale cafe known for its high-quality brews and full food menu, has signed on to be the first announced restaurant tenant at Braun Enterprises’ Heights Waterworks development. Ascension makes its debut in June or July of 2018. Why are we always getting these Dallas based restaurants in our new developments like this one? Is it the same the other way around? Just north of that (Heights Waterworks), Alliance Residential plans to develop a Broadstone apartment midrise. Alliance Broadstone Heights apartments appears on new marketing materials for the Heights Waterworks redevelopment from Braun Enterprises. It's located on W 20th St and Nicholson and will have 250 units. Braun Enterprises redesigned their website and included the Heights Waterworks redevelopment located on W 20th St and Nicholson. Premiere retail redevelopment space at the intersection of W. 20th and Nicholson St.; a hard corner of one of the best intersections in the Heights. Surrounding neighborhood provides vibrant community comprised of up-and-coming restaurants, shopping areas and outdoor walking trails. Updated site plan and maps of Heights Waterworks redevelopment from Braun Enterprises located on W 20th St and Nicholson. The site plan shows the coffee shop Ascension (posted here) and Lovett Dental. A burger bar and yoga studio are proposed, a Tex-Mex restaurant, and another restaurant.